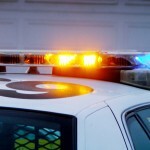 Law enforcement in California increasingly uses Mobile Video/Audio Recording Systems (MVARS) to record DUI stops, conversations with suspects, field sobriety tests, and even driving patterns of motorists prior to a stop. For law enforcement, MVARS has proved to be a mixed blessing. While recordings can offer occasional protection to the honest officer who is falsely accused, video evidence can also often help suspects accused of DWI prove their innocence. In southern California, if you’re accused of DUI on the basis of video evidence, or if you’re charged but you believe the video can exonerate you, contact an experienced Orange County DUI attorney as quickly as possible. 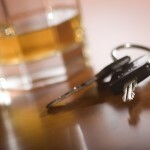 For DUI suspects, MVARS can help you and your DWI attorney – and everyone else involved – see what actually happened. If the recording fails to show that you were driving erratically or illegally, the police may have had no legal reason – no reasonable cause – to stop you. Audio is important too. Your words or statements might be taken out of context in a written police report, but a complete audio record puts your words and statements into their proper perspective. Video can also show how you performed on field sobriety tests; it’s no longer just your word against a police officer’s. However, in California, if you are over 21 and not on probation for DWI, you have the right to decline a field sobriety test, and it’s a right California drivers should exercise. In the past, juries and judges have tended to believe police officers rather than suspects in DWI cases. MVARS levels the playing field. In many DUI cases, a close look at the video can lead to a not guilty verdict or even a dismissal of the charge before a trial can begin. 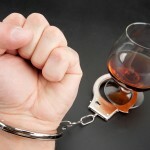 If you are charged with DUI in Orange County, arrange at once to speak with an experienced Orange County DWI attorney who is familiar with MVARS and how it can be used on your behalf.